Arlington, TX – April 1, 2014 – First Rate, a leading provider of wealth management solutions for the financial services industry, announced today that Sendero, a private wealth management firm, is live on ARKON, First Rate’s newest platform. Sendero manages approximately $2.8 billion in assets and is focused on enhancing its current capabilities to include a comprehensive and relationship-centric wealth management platform. Leveraging a partnership with Grendel Online, a cloud-based CRM system, First Rate is able to deliver an all-inclusive, unified solution called ARKON, which hosts a number of components including: CRM, fee management, client reporting, and portfolio oversight streamlining Sendero’s current processes. 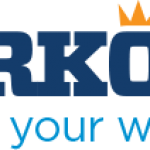 ARKON provides market-leading technology, delivering cloud-based solutions and mobile device applications. The platform supports full integration and context passing in and out of the application. This enables the platform to work easily with other web properties supporting seamless integration between applications and helping support future growth plans for deeper integration needs. Contact First Rate today to see how ARKON can bring value to your firm. For more information about Sendero, visit www.sendero.com.